If you run an organization where hundreds of employees work for you, it becomes very difficult to keep a track of the actual number of days an employee worked or at what time did he enter the office. To ease the process, we bring to you the best biometric time and attendance system that makes your time and attendance system a cakewalk. 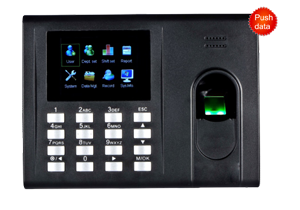 We are considered to be the best and the most reliable provider of biometric time and attendance system in Faridabad and Noida. Our innovative product is made using the fastest commercial-based fingerprint matching algorithm and a supreme quality fingerprint sensor that makes sure the authentication process is precisely completed within seconds. 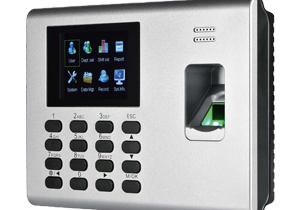 Our fingerprint attendance system in Noida, Ghaziabad makes sure only individuals holding the right to enter your premises are allowed to enter and their entry and exit time is recorded with the highest degree of precision. 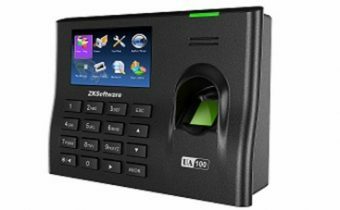 Many corporate houses use our finger attendance system in Delhi as it helps them to keep a track of the time and attendance of every employee and visitor with ease. Apart from fulfilling the commercial security requirements, our attendance system in Ghaziabad has also helped the HR department of each organization. Now, they remain tension-free during the pay-out time, as they are not burdened to calculate the total number of days an employee worked during the entire month. The biometric time and attendance system offered by S K Biometrics are both comprehensive and extensive. Our biometric systems are known to offer the unmatched performance in the fastest time possible. 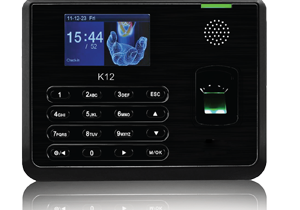 With supreme quality optical fingerprint sensor, audio-visual indications for unauthorized fingers, large storage capacity, multi-language support, and much more you can expect to boost your security system by installing our time and attendance systems. 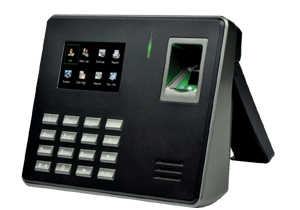 Our fingerprint attendance system in Noida is used by a lot of commercial places for obvious reasons. We also offer biometrics attendance system in Ghaziabad to meet the growing demand for security needs. All our products are innovative and are diligently made by professionals having years of experience in the field of security devices. 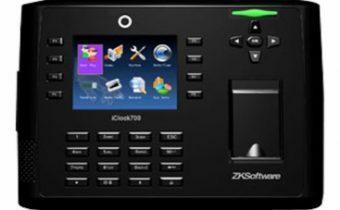 You can connect with our team to know about our cloud attendance system in Noida and other products as well. Our team will give you a detailed description of our products alongside clearing all your device-related queries.